There’s no need to overspend on a Mercedes-Benz Van like the Metris, thanks to the current Mercedes-Benz incentives available to Phoenix drivers. 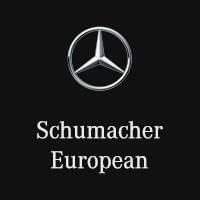 When you work with Schumacher European, you can drive home in that new Mercedes-Benz Metris you’d like for work without the stress, whether by leasing or buying. And better yet, our finance team is here to assist you every step of the way. We can’t wait to help you find the vehicle you’ve been searching for at a price that won’t stretch your budget. And with features like Bluetooth® wireless audio, COMAND® navigation, and smartphone compatibility, you can’t make a wrong decision with a spacious Mercedes-Benz van. If you’d like to learn more about our current Mercedes-Benz van finance offers, contact us. Don’t forget to check out our lineup of Airstream RV models to get ready for a fantastic trip!